Rocking slippers outdoors is no longer strictly for grandpas and Hugh Hefner. Though fancy footwear companies like Stubbs & Wootton and Del Toro have been churning ‘em out for some time, recent reports reveal a major surge in sales this past year (even doubling for some purveyors), for those that want to fetch admiring stares along with the morning paper. With tastemakers like Kanye leading the pack, the cozy bedroom staple has quickly evolved into one of the freshest trends in streetwear—but these kicks run upwards of $400, so getting on trend this time ain't cheap. 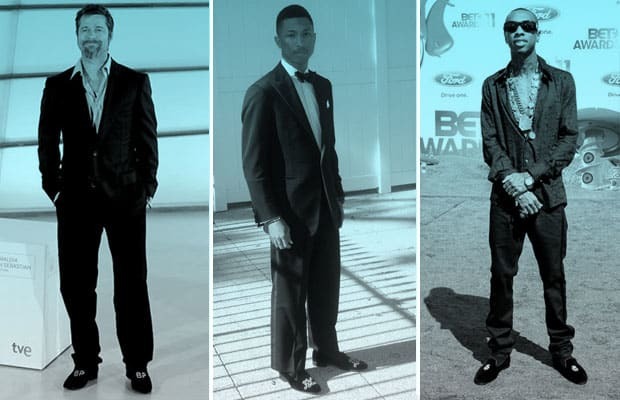 But check out some of the celebs slipping into these dapper designs in our Gallery of Celebs Wearing Slippers.